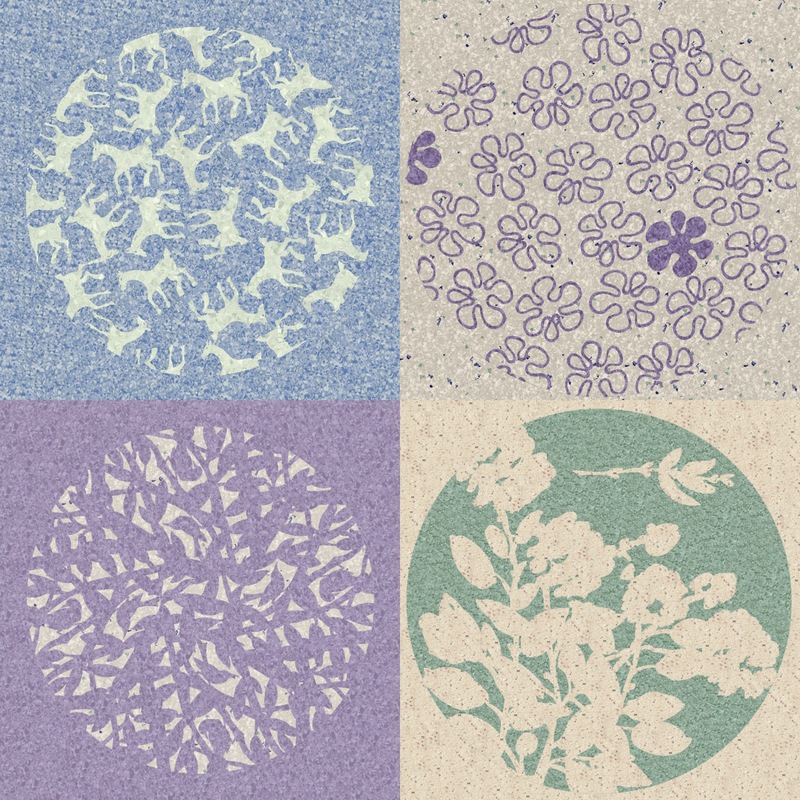 This is an archive of older commissioned projects. 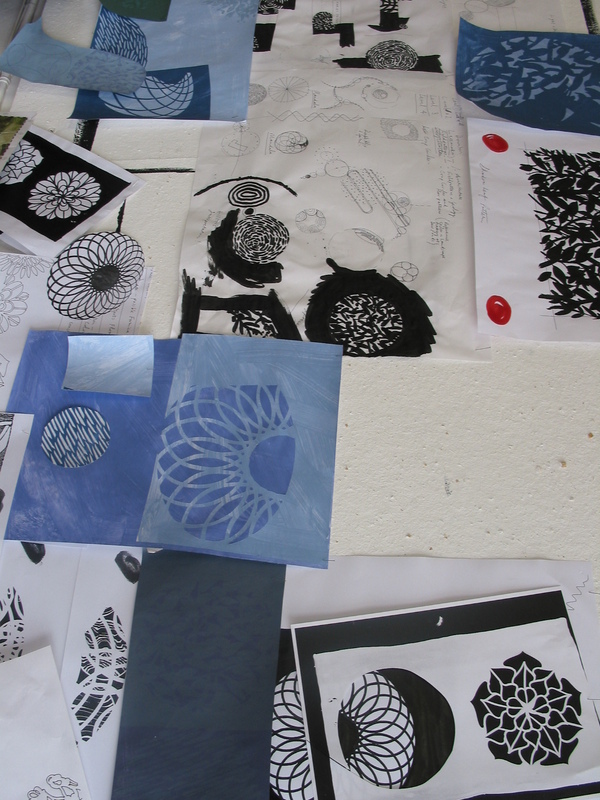 I am always trying to play catch-up with projects I completed prior to having any online platforms. 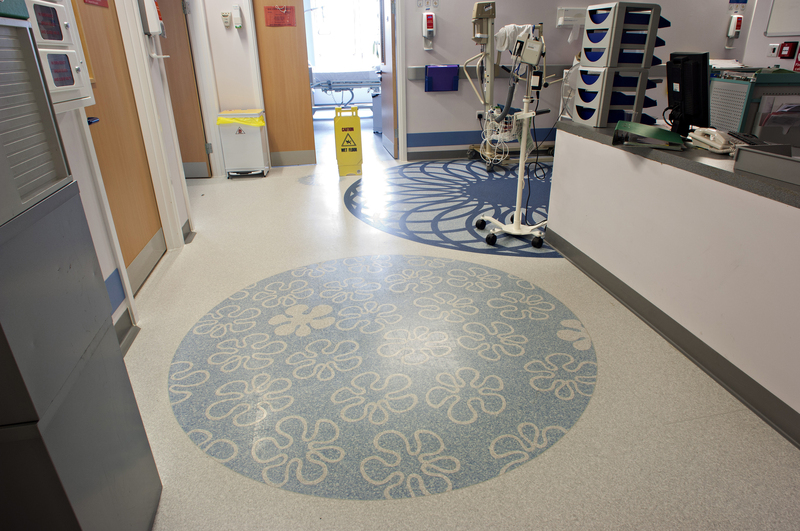 Here we are, almost 13 years since its completion and installation and I have finally managed to track down a great set of images, which were commissioned by Tarkett Flooring (actually it was Tarkett Marley back in 2006). The images were originally commissioned by PR Firm Mainspring from photographer Ian Blantern of Blantern & Davis Photography. 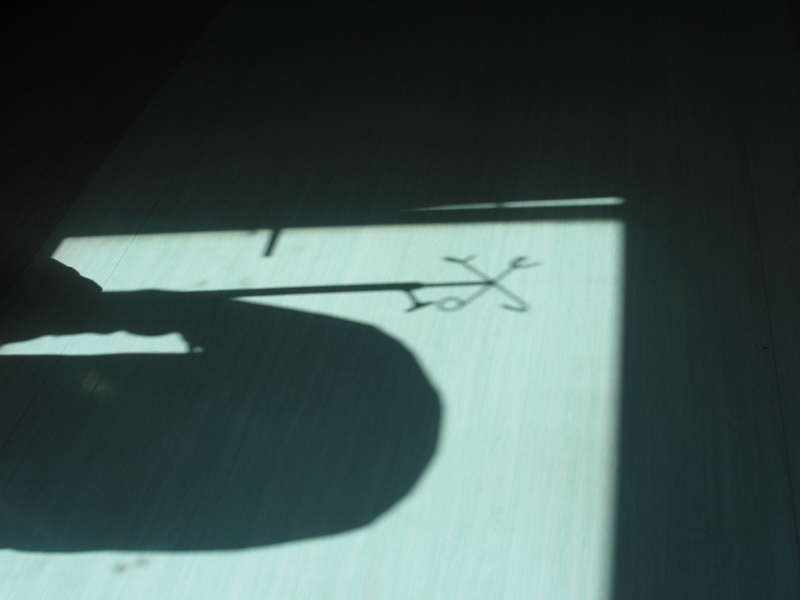 Ian Blantern retrieved the images from his archive, for which I am really grateful. 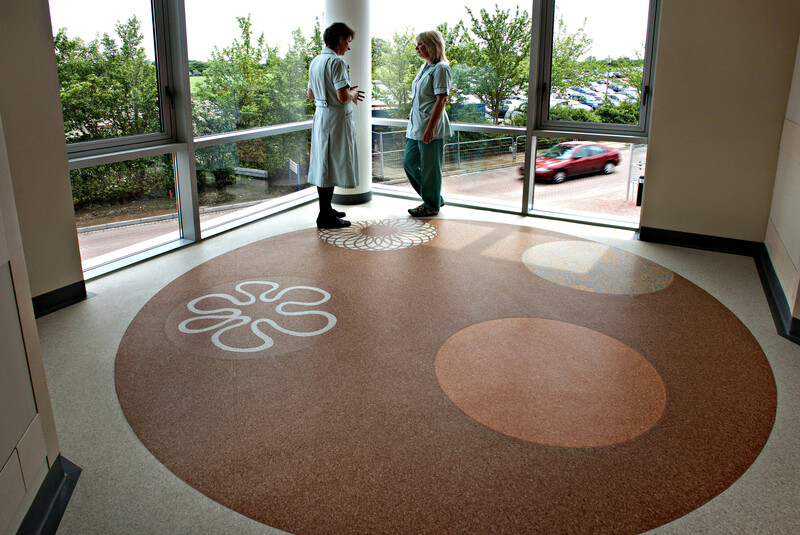 In 2004 I was commissioned by Peter Ursem, a former director of the Artcare Team at Salisbury District Hospital to collaborate with project team Architects, Chapman Taylor and Contractor Gleeson. 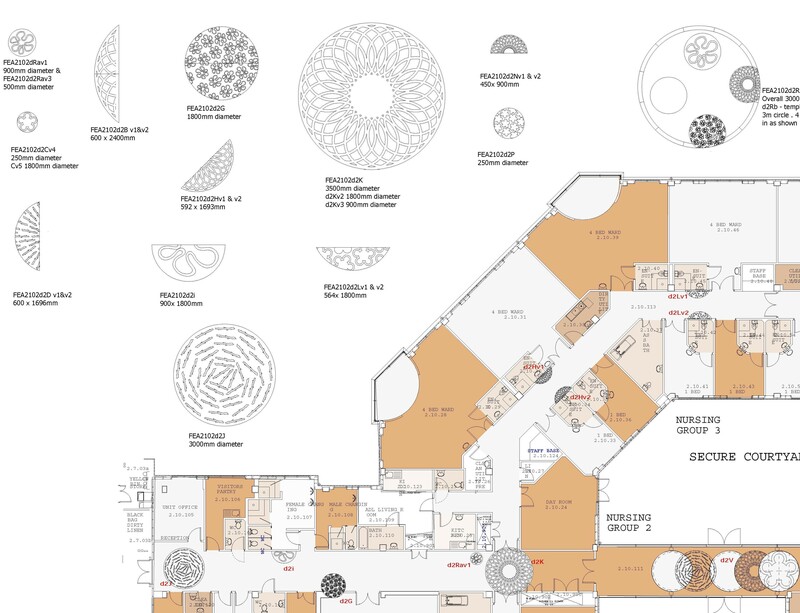 The brief was to create bespoke flooring installations throughout the four levels of the new building, combined with creating interior colour schemes to assist in wayfinding and identity. 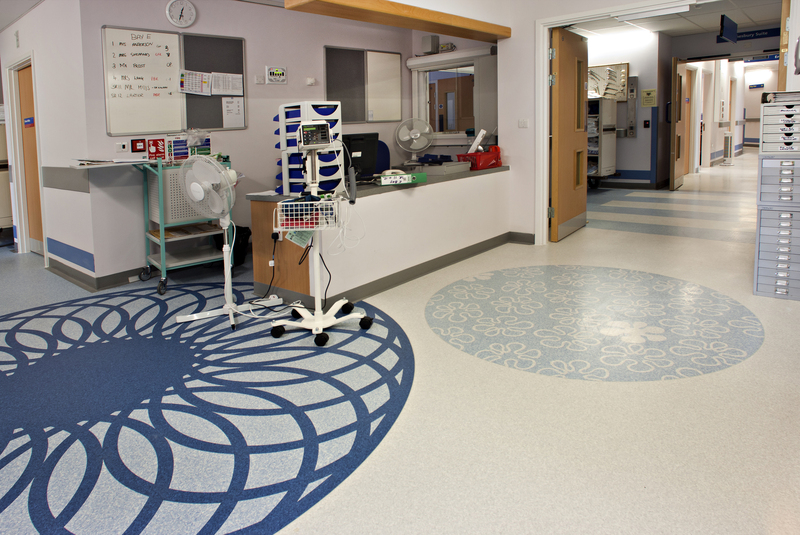 I collaborated closely with Tarkett Marley Floors throughout the design and manufacturing period on sonic cutting and installation methods. 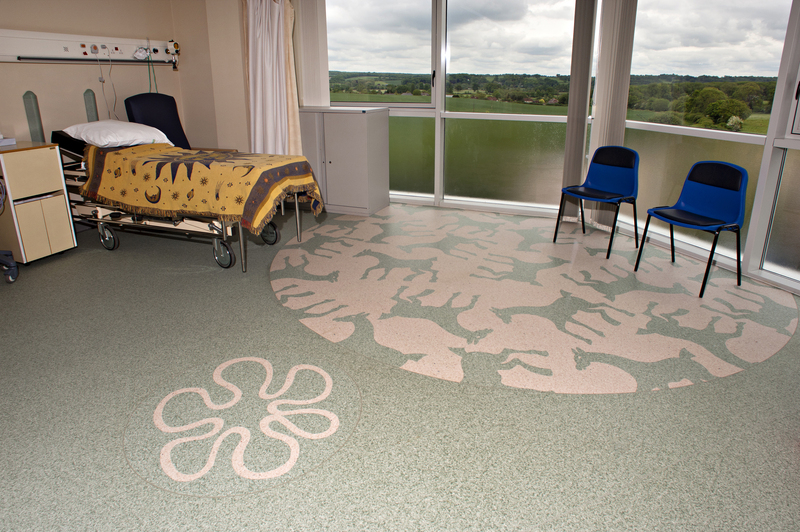 The designs were inspired by abstract forms in the Wiltshire landscape – ephemeral and or suggested elements as seen from the Hospital. 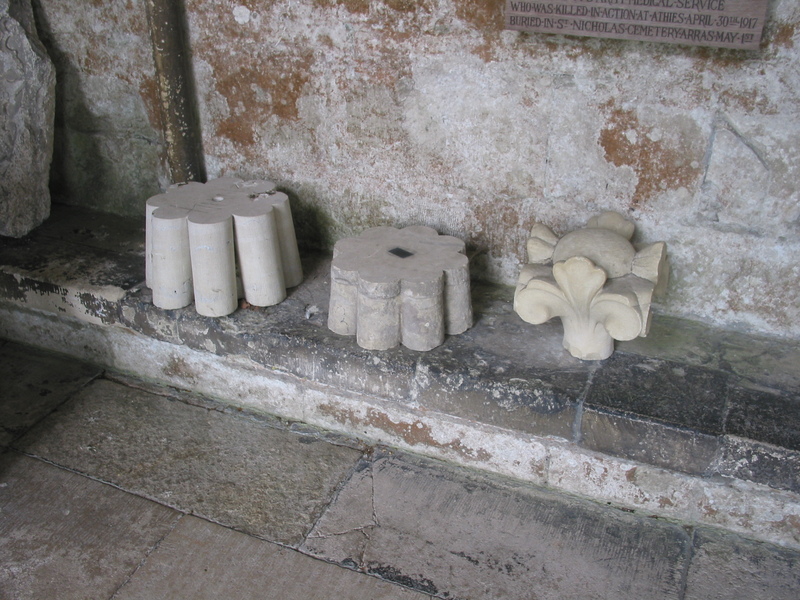 This included ancient and historic man-made stone circles at Avebury and Sarum, crop circles, dew ponds, Fovant Badges, plough lines and field patterns. 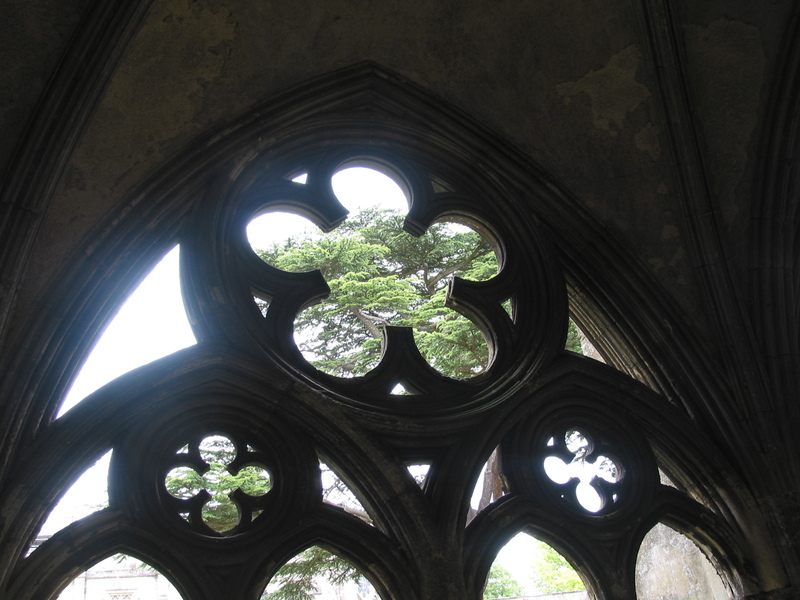 I also looked at Downton lace making, the architecture and decoration of Salisbury Cathedral and the flora and fauna of a chalk and limestone landscape. 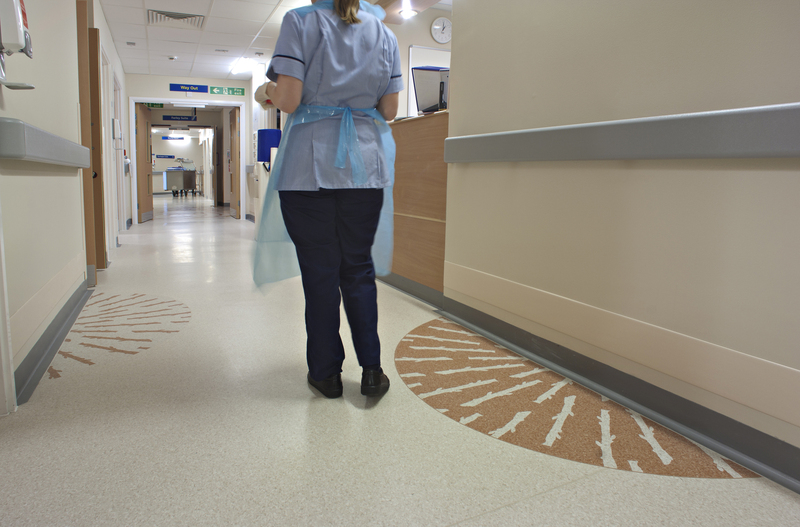 Engagement with staff and patients was also undertaken. 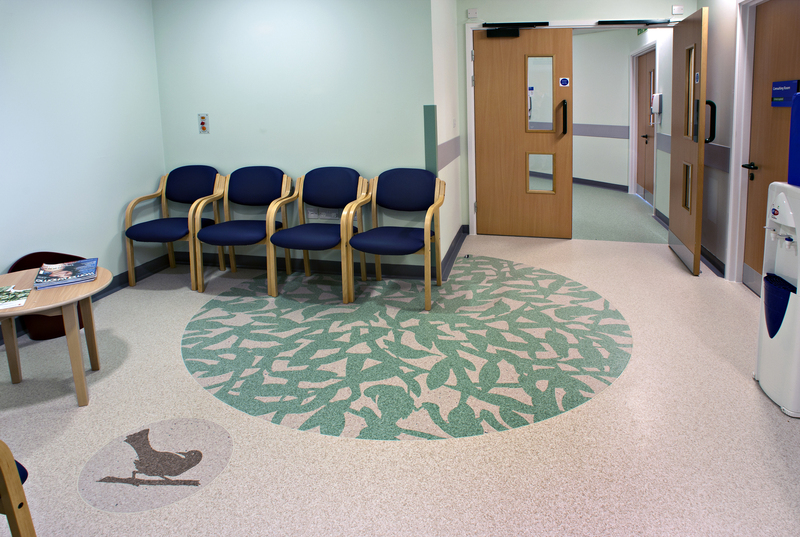 The installations were made at major node points such as nurses stations, waiting areas, key vistas and in the window seating areas of the 4-bed bays. 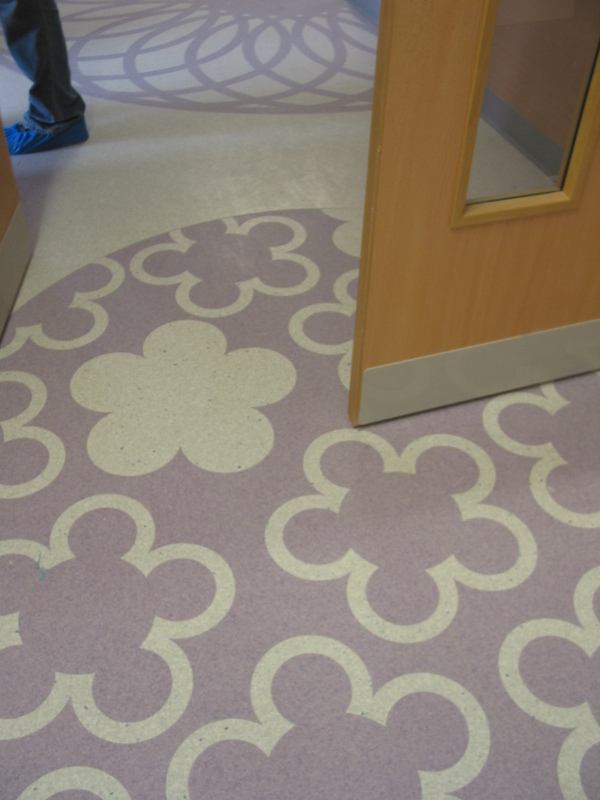 The patterns break up the generous expanses of floor, providing an element of surprise and distraction for patients and visitors alike. 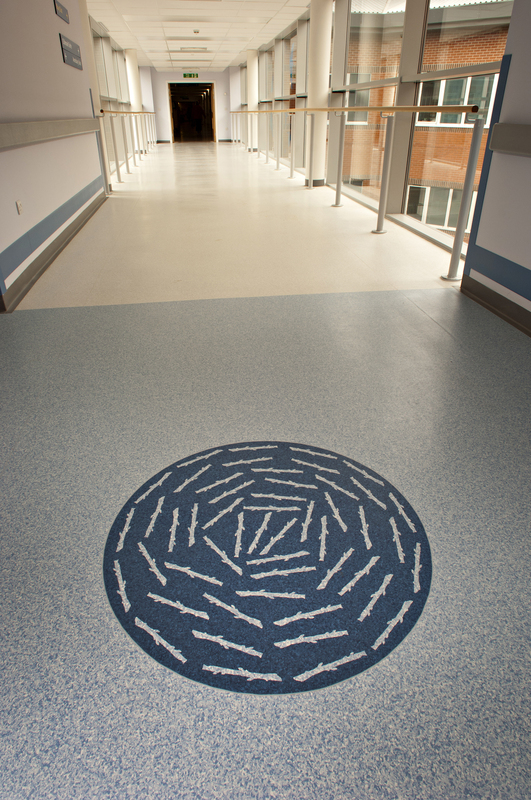 All floors share a limited catalogue of motifs, but these are expressed via individual and distinct colour palettes on each level. 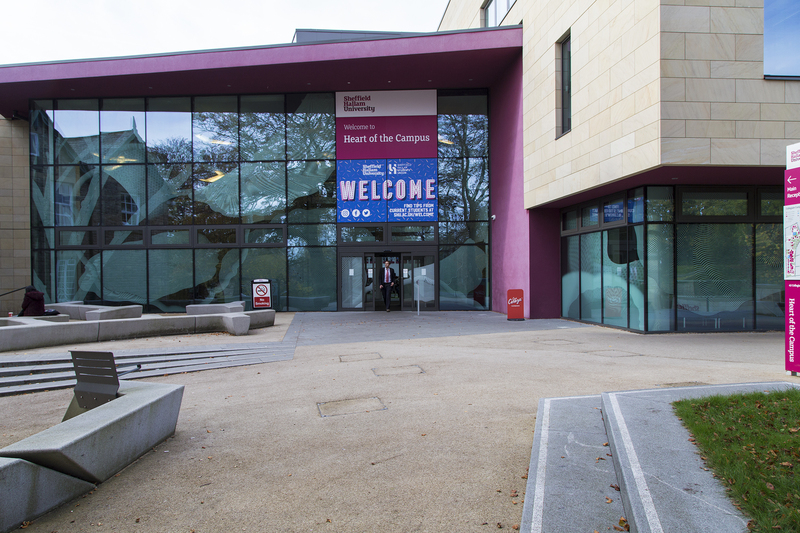 Levels 1 & 2 share an set of earth and terracotta tones representing chalk marls and ploughed fields. 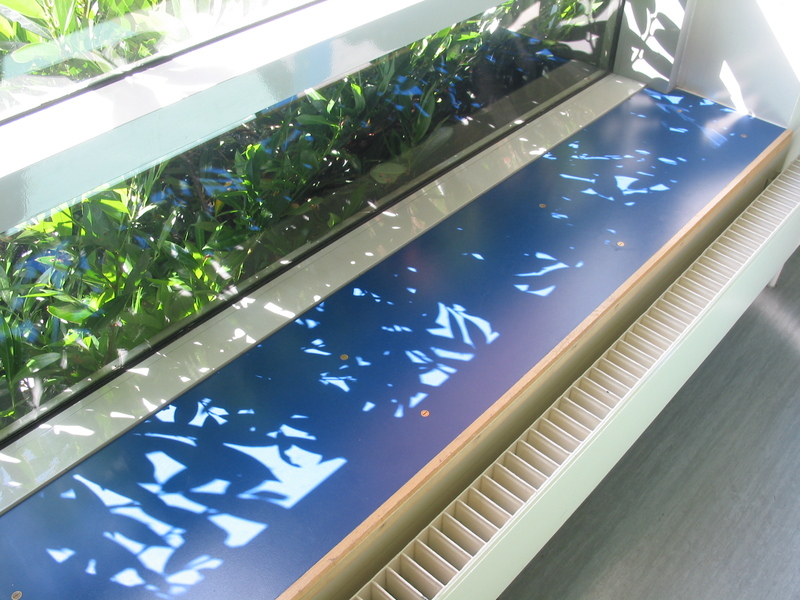 Level 3 uses shades of green reminiscent of summer and farmland and woods, whilst on Level 4, blues and lilac colours reflect shifting skyscapes. Salisbury District Hospital 2006. 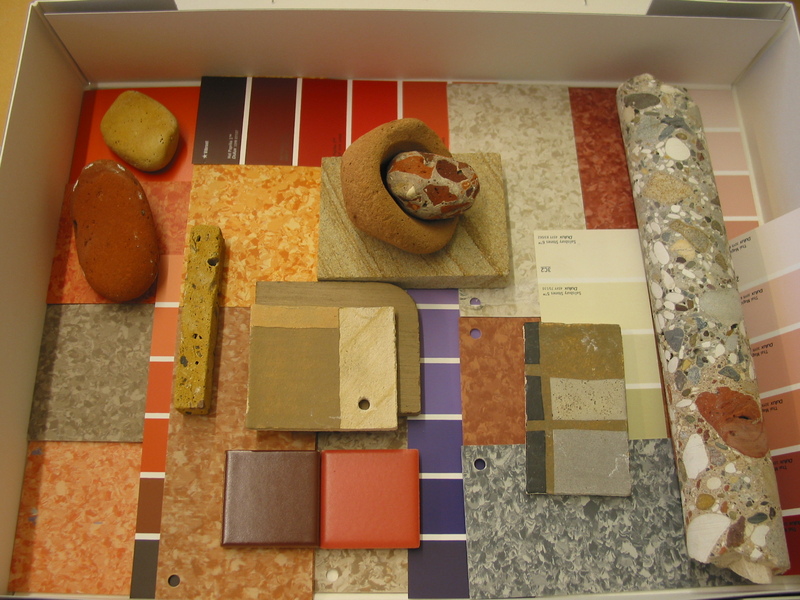 Material & colour-ways sample boards. Artist Christopher Tipping. 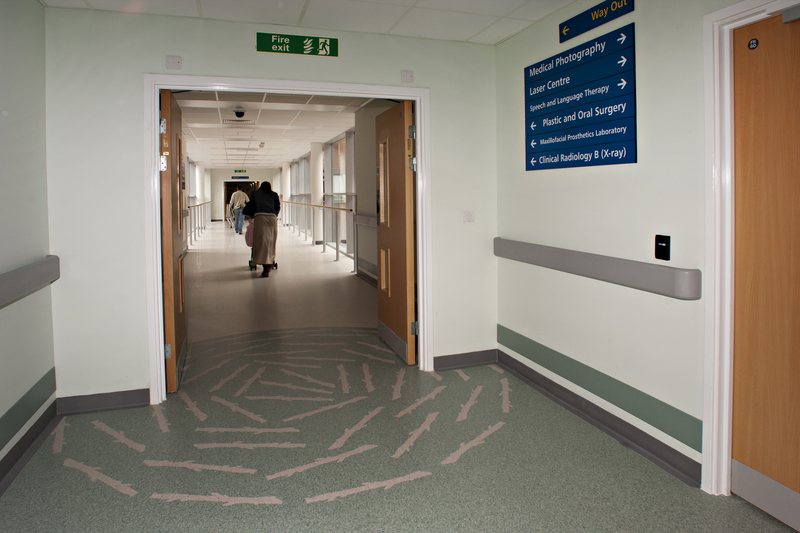 Salisbury District Hospital 2006, Levels 1 & 2 colour way-finding – inspection during installation. Artist Christopher Tipping. 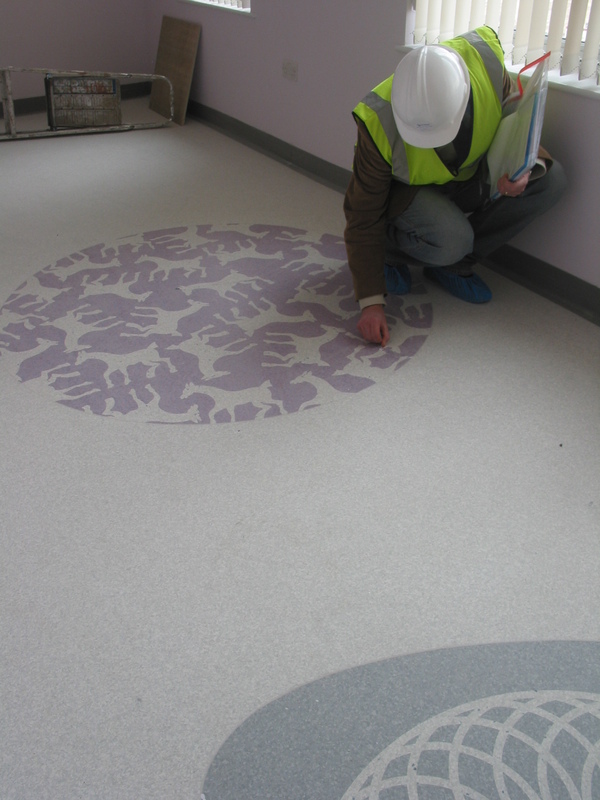 Salisbury District Hospital 2006, Level 3 colour way-finding – inspection during installation. Artist Christopher Tipping. 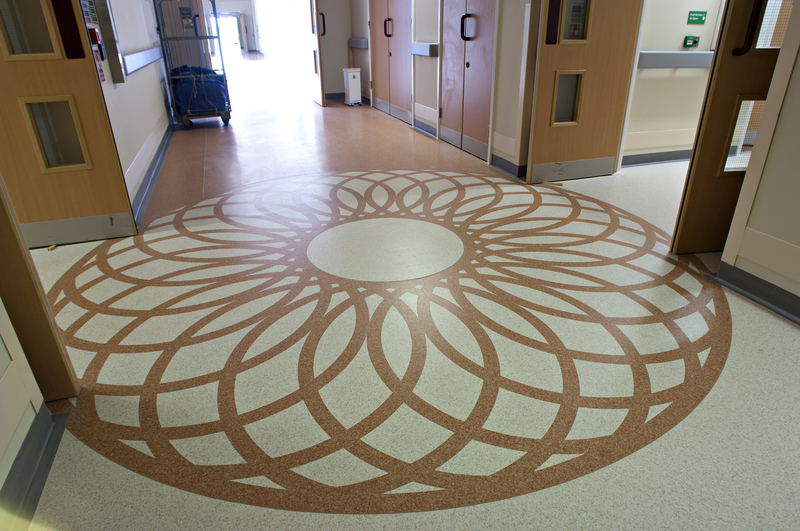 Salisbury District Hospital 2006. 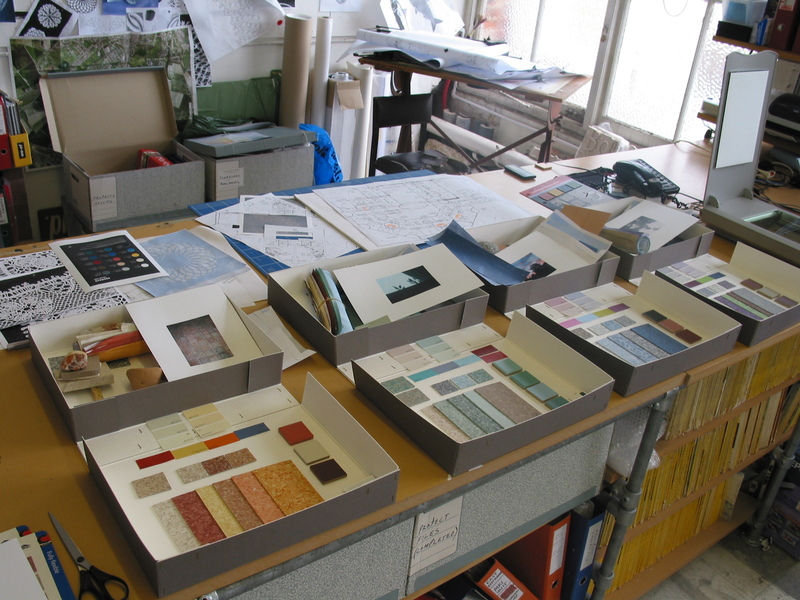 Material & colour-ways sample boxes in progress at Clockwork Studios. Artist Christopher Tipping. Salisbury District Hospital 2006. 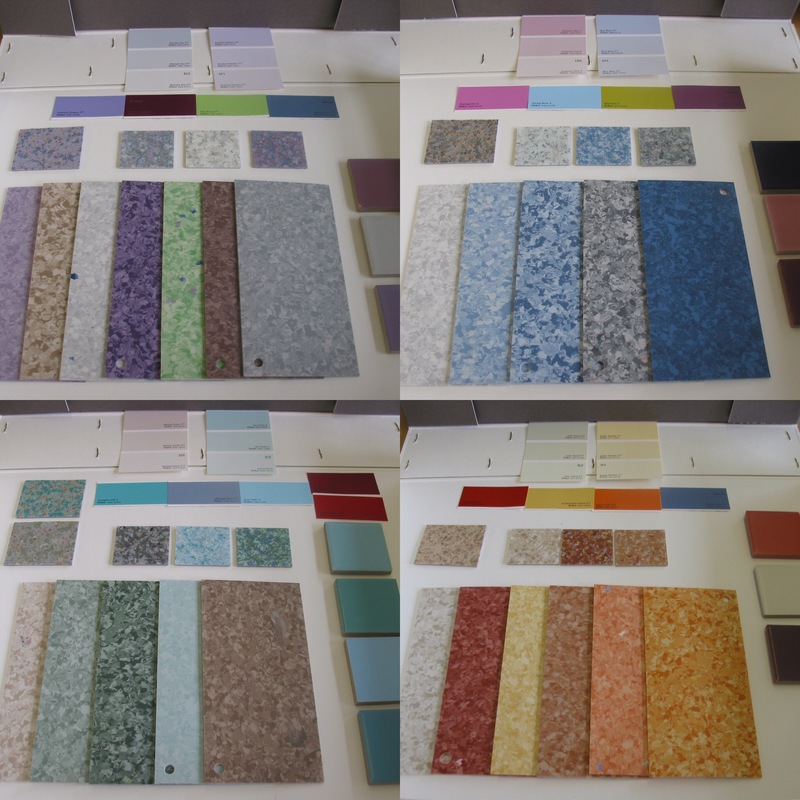 Material & colour-ways sample box for Levels 1 & 2 in progress at Clockwork Studios. Artist Christopher Tipping. Salisbury District Hospital 2006. 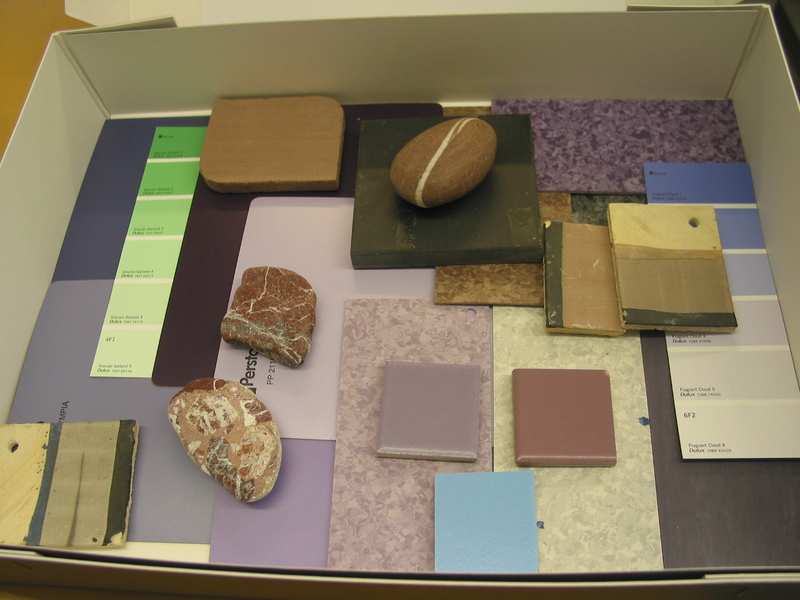 Material & colour-ways sample box for Level 4 Burns Unit in progress at Clockwork Studios. Artist Christopher Tipping. 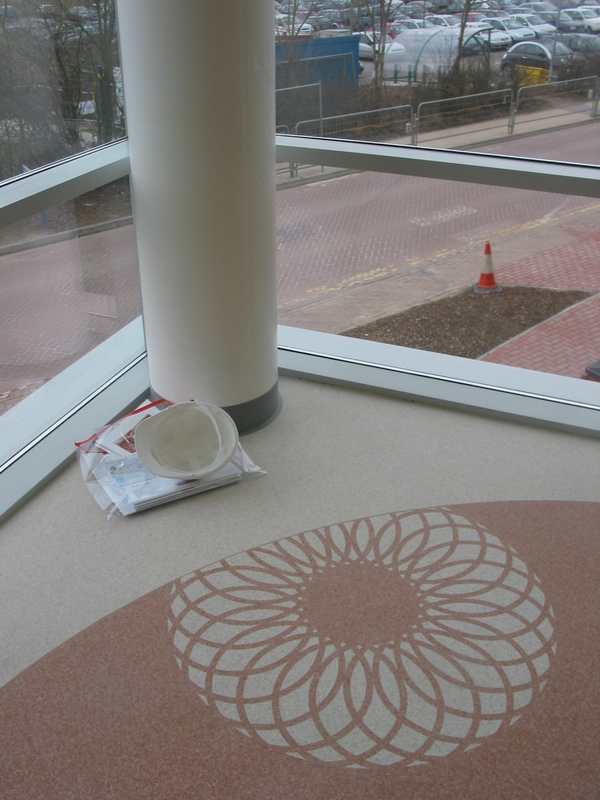 Salisbury District Hospital 2006, Level 4 colour way-finding – inspection & cleaning underway during installation. Artist Christopher Tipping. 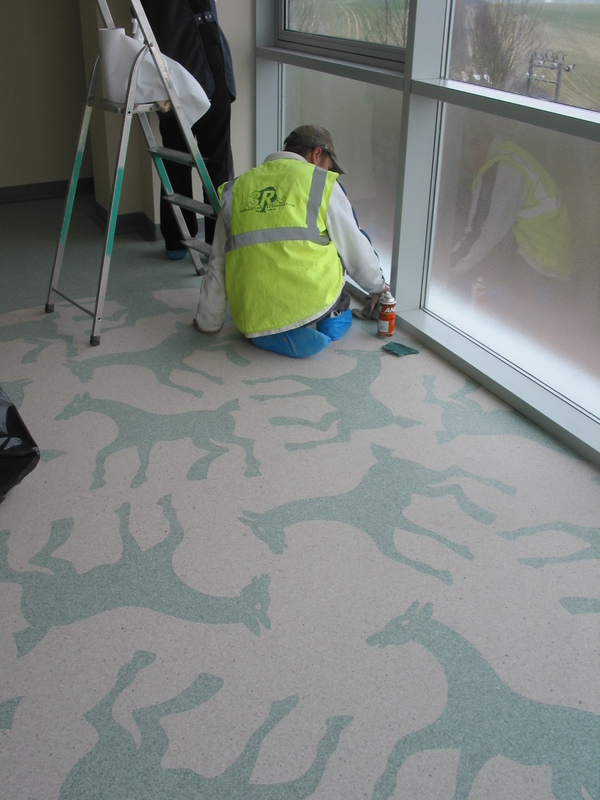 Salisbury District Hospital 2006, Level 4 colour way-finding – inspection & cleaning during installation. Artist Christopher Tipping. 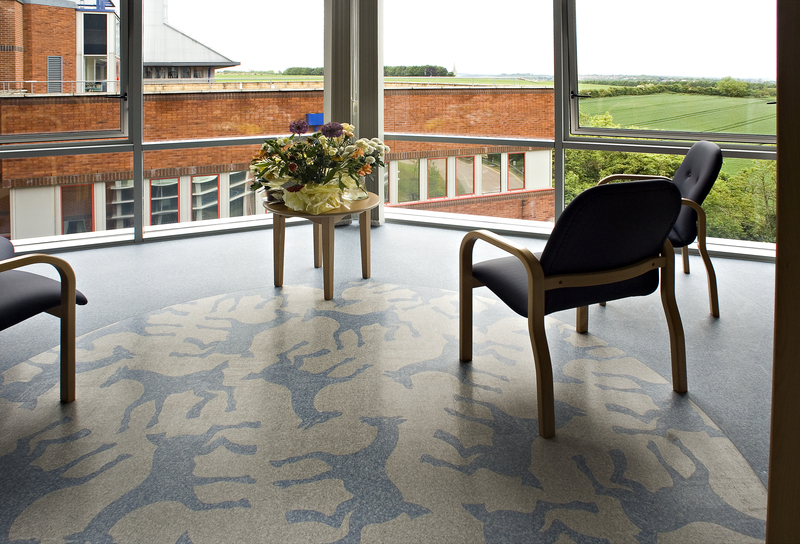 Salisbury District Hospital 2006. 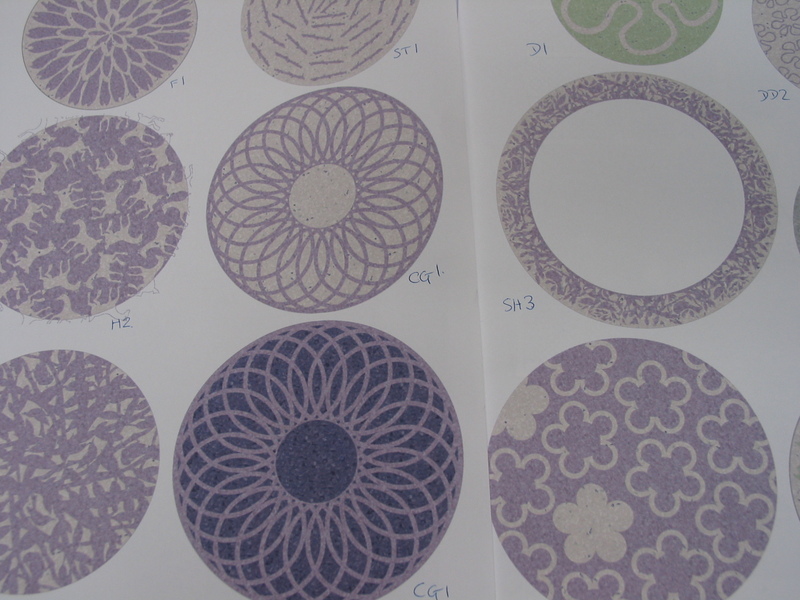 Production Drawings of bespoke motifs by Tarkett Marley. Artist Christopher Tipping. 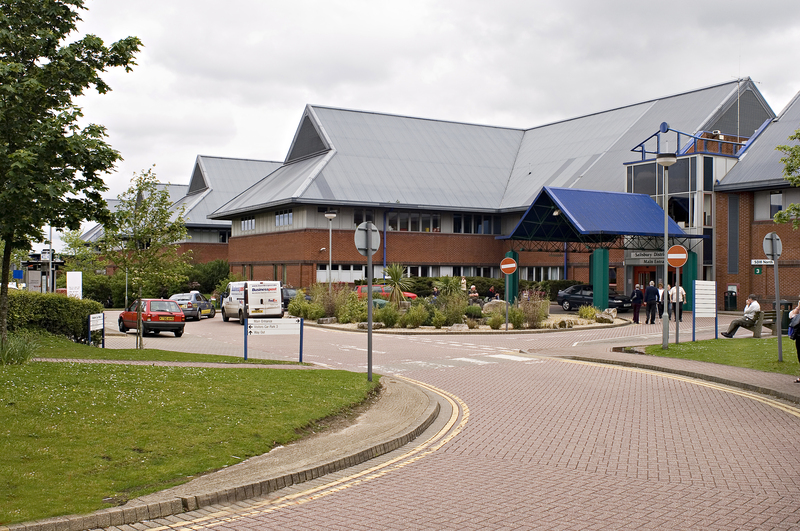 Salisbury District Hospital 2006. 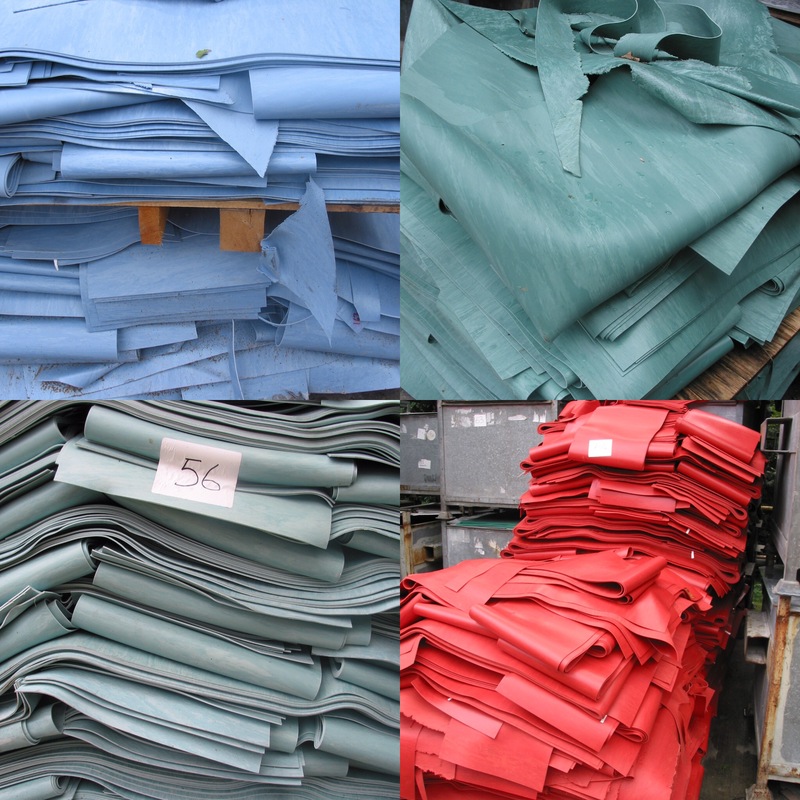 Waste Materials from manufacturing at Tarkett Marley factory, Lenham, Kent. Artist Christopher Tipping. 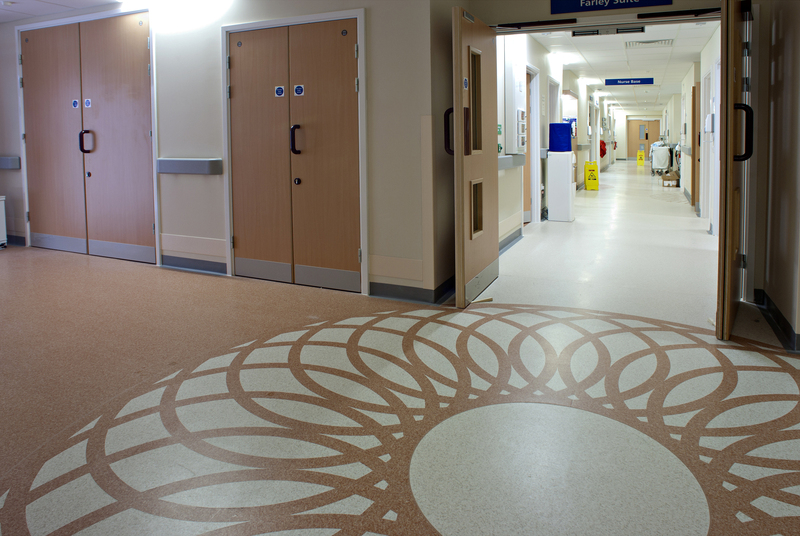 Salisbury District Hospital 2006, Levels 1 & 2 colour way-finding. 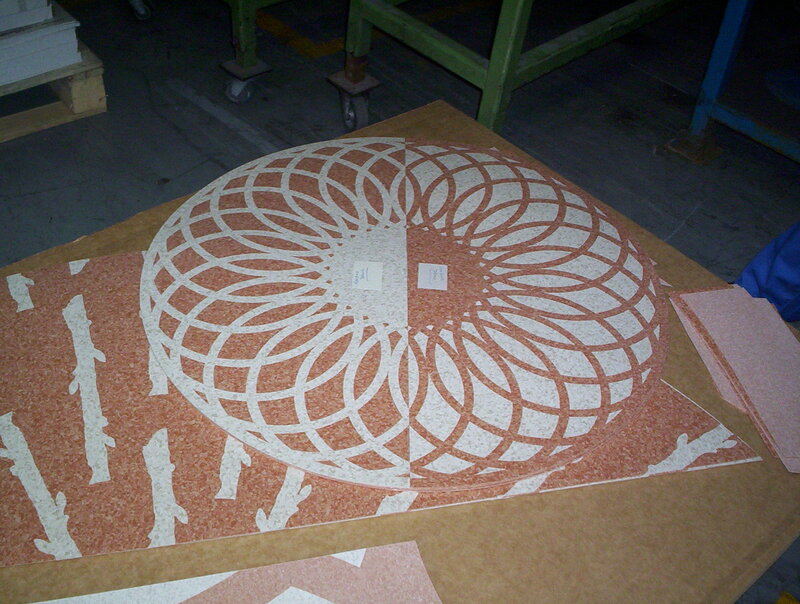 Sample Panel by Tarkett Marley. Artist Christopher Tipping. 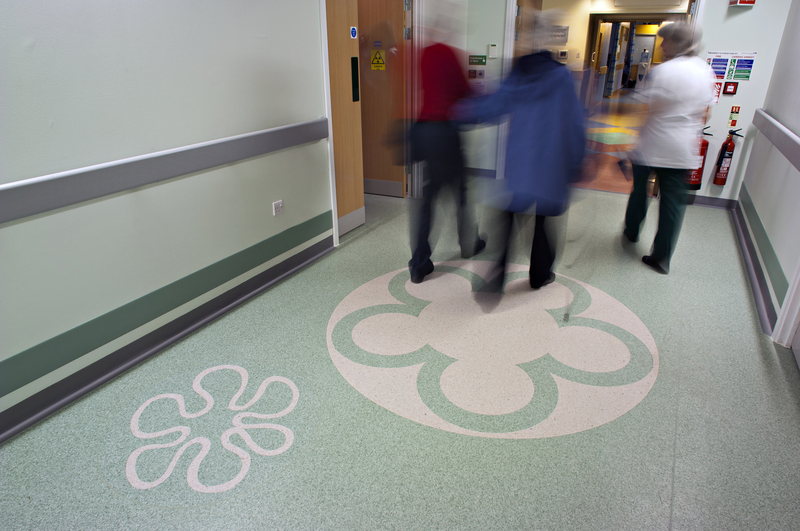 Salisbury District Hospital 2006. 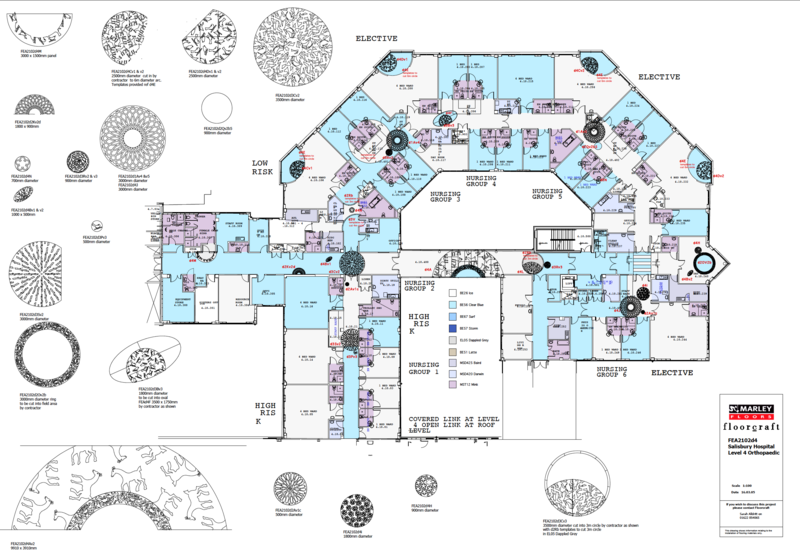 Typical Production Plan Drawing of bespoke motifs & sites for Levels 1 & 2 by Tarkett Marley. Artist Christopher Tipping. 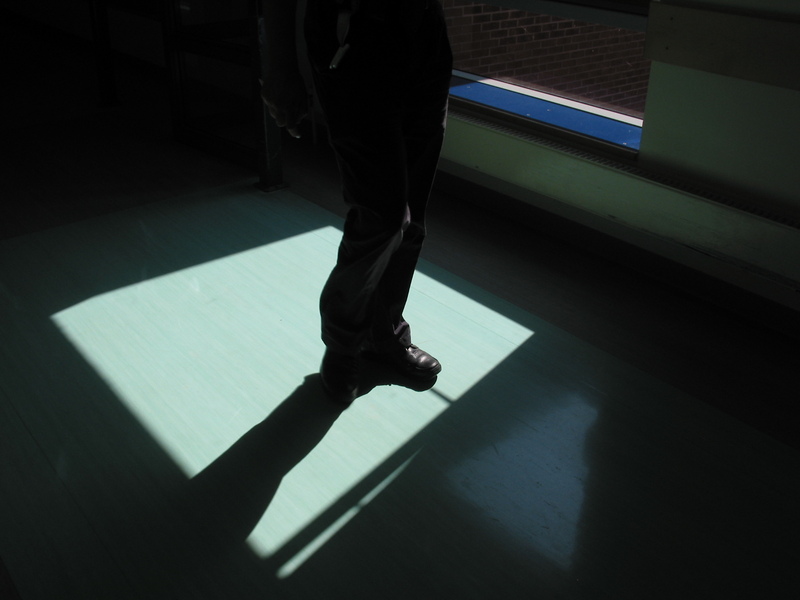 Salisbury District Hospital 2006. 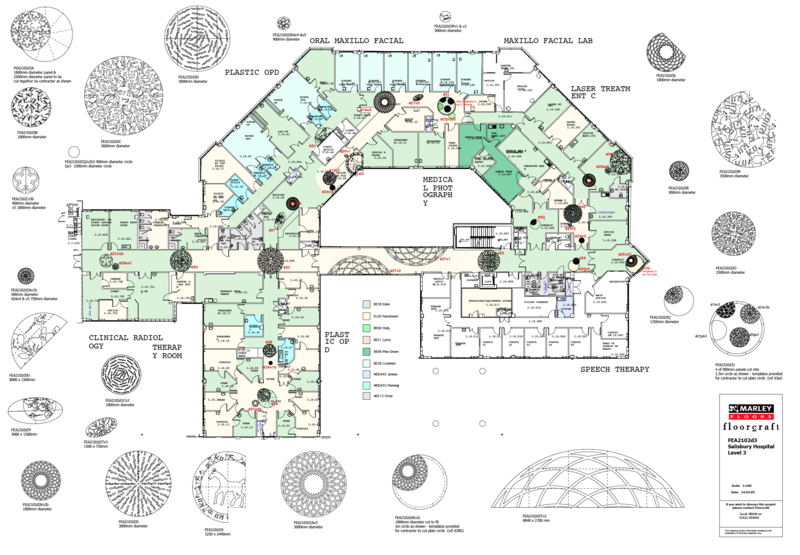 Detail: Typical Production Plan Drawing of bespoke motifs & sites for Levels 1 & 2 by Tarkett Marley. Artist Christopher Tipping. Salisbury District Hospital 2006. 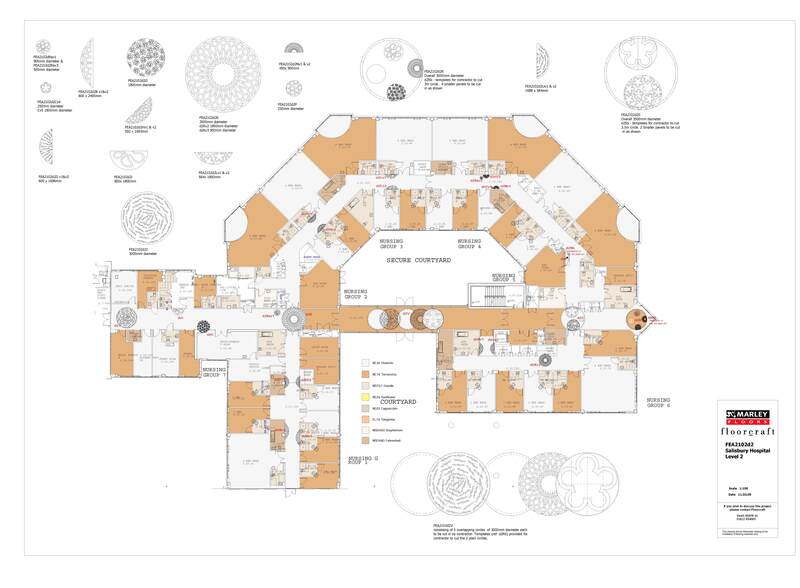 Typical Production Plan Drawing of bespoke motifs & sites for Level 4 by Tarkett Marley. Artist Christopher Tipping. Salisbury District Hospital 2006. 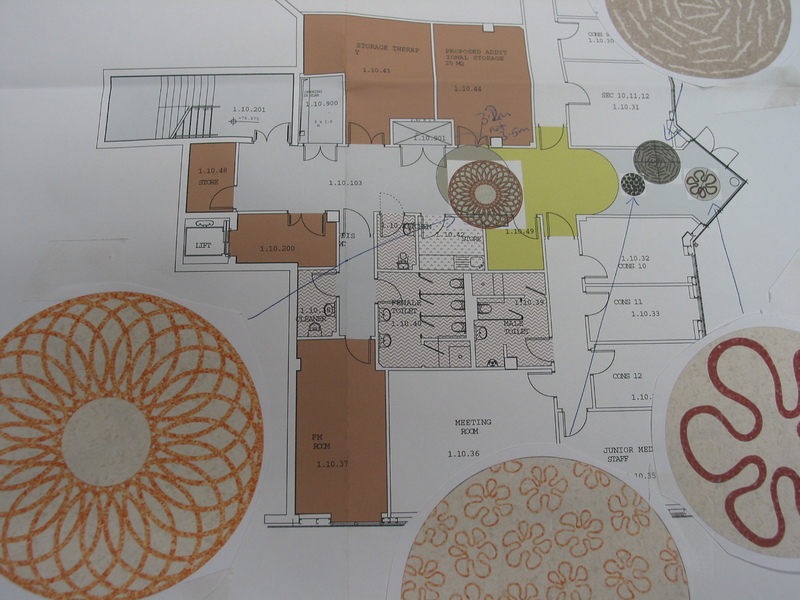 Typical Production Plan Drawing of bespoke motifs & sites for Level 3 by Tarkett Marley. Artist Christopher Tipping. 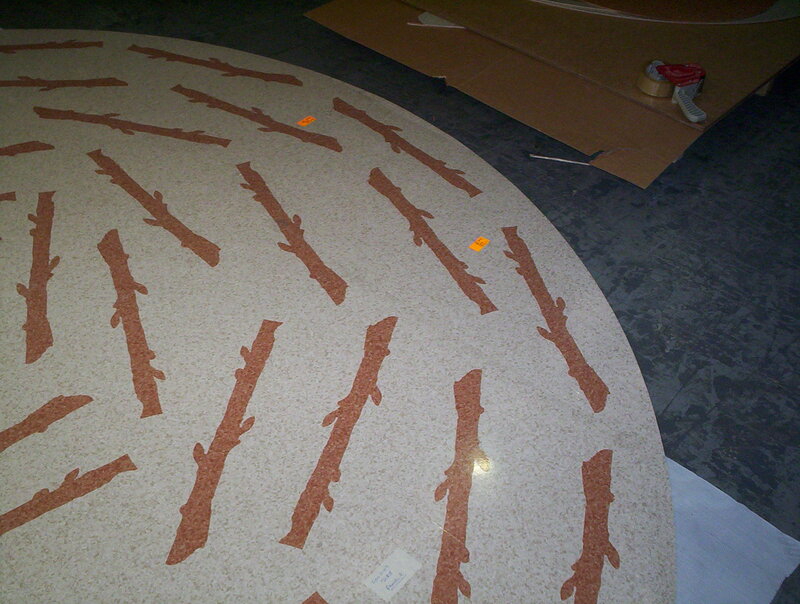 Salisbury District Hospital 2006, Level 4 colour way-finding – inspection during installation. Artist Christopher Tipping. 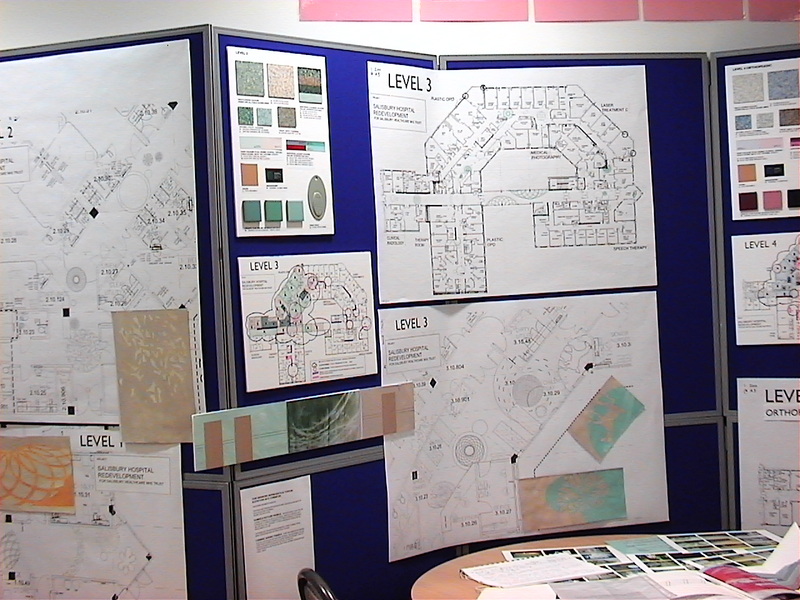 2005, design stage consultation event. Artist Christopher Tipping. 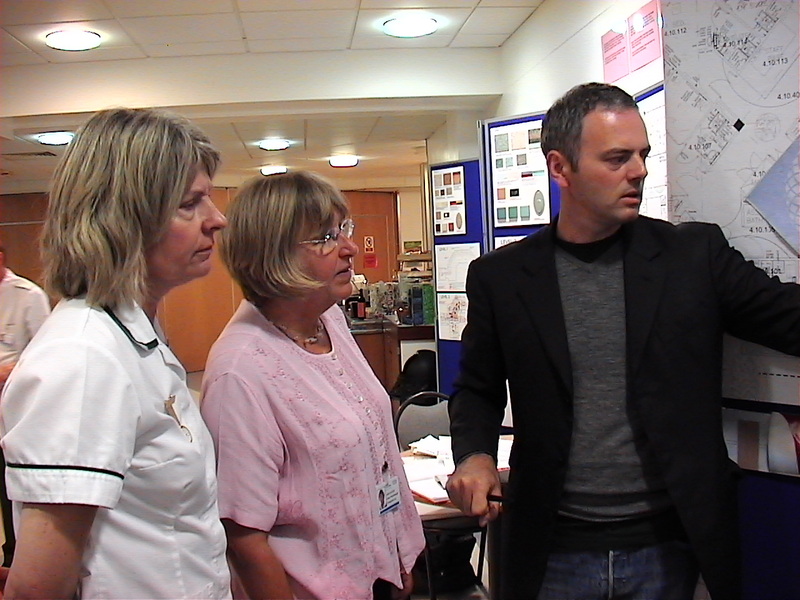 Salisbury District Hospital 2006. 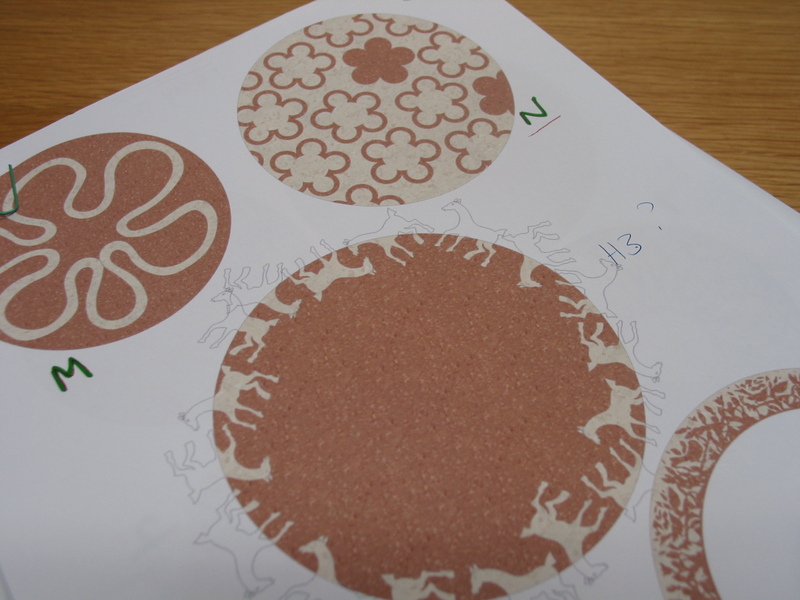 Production Drawings of bespoke motifs for Levels 1 & 2 by Tarkett Marley. Artist Christopher Tipping. 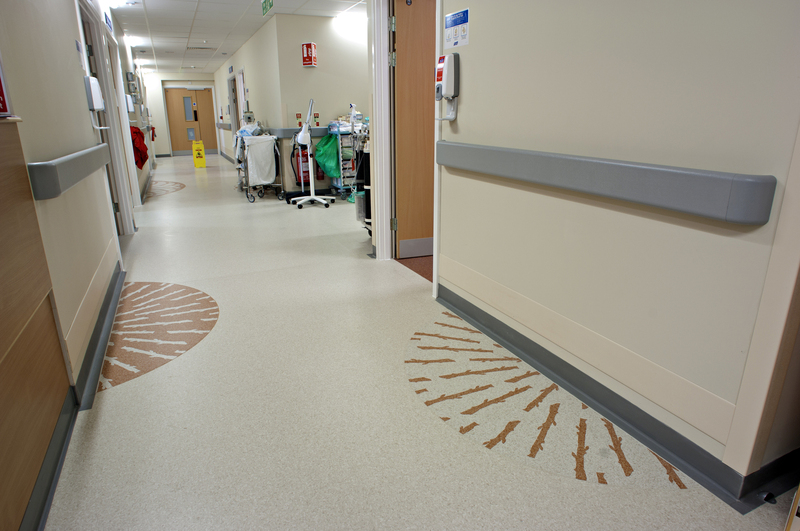 Salisbury District Hospital 2006, Level 4 colour way-finding. 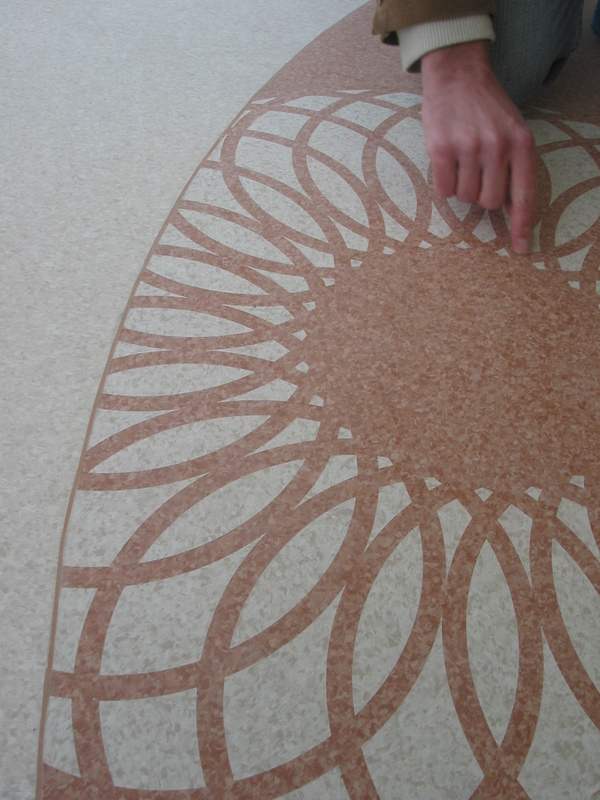 Sample Panel by Tarkett Marley. Artist Christopher Tipping.